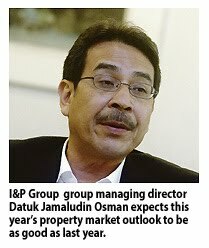 PETALING JAYA: Malaysia is likely to see a record year for property transactions and home price appreciation could accelerate, said CIMB Investment Bank Bhd. The PMR showed weak demand and rising supply were already weighing down occupancy rates for commercial properties, particularly office spaces in the Klang Valley, last year. A growing number of developers and building owners in Malaysia are recognizing the value of going “Green”. The term sustainable development has interchangeably been used to reflect “green features” in the development. In some countries, sustainable development has a deeper meaning than simply applying “green features” as it is used to tackle a number of global issues such as poverty, inequality, hunger and environmental degradation. But, in the context of property development in Malaysia, it can generally be referred to as practices that can lead to more environmentally friendly and ecologically responsible decisions and lifestyles, which can help protect the environment and sustain its natural resources for current and future generations. Earth Summit in Rio, Brazil in 1992 was one of the major international efforts to bring sustainable development to the mainstream. In Malaysia, while some developers have taken their own initiatives to achieve international green certification such as LEED, and BCA Green Mark, the establishment of a green rating tool known as Green Building Index (GBI) by Greenbuildingindex Sdn Bhd, a group of architects and engineers in February 2009 has marked another level of achievement in our effort to preserve and save the environment. Developed to promote green design, construction, reconstruction and operation of buildings, GBI focuses on six green criteria, such as energy efficiency, indoor environmental quality, sustainable site planning and management, materials and resources, water efficiency and innovation. It was reported that currently there are 21 GBI-certified buildings; some of them are Sunway SPK 3 Harmoni, 311 House, Ken Bangsar Serviced Residences, Pusat Tenaga Malaysia, 1 First Avenue and Menara Worldwide. In March this year, GBI Township Rating Tool was launched to further mark a green effort to transform our communities. The six assessment criteria are climate, energy and water; ecology and environment; community planning and design; transportation and connectivity: building and resources as well as business and innovation. Five pilot projects that were reported to have registered with the GBI are TTDI Alam Impian, Boga Valley, Ken Rimba, Elmina East, and Karambunai Intergrated Resort City. With the growing interest in green development, critical questions have been raised by property buyers and investors - whether there is an enhancement to the market value of green-rated properties or is it an over-enhancement? Will these green properties be more marketable and attractive for investment purpose? In Malaysia, a comprehensive study on this subject has yet to be conducted. However, at this stage, we can also learn from experience in countries that are more advanced in the green initiatives. A survey conducted by New York Times in 2006 concluded “when faced with the choice of renting or buying two similar apartments, consumers increasingly will opt for the one with Green features, even if it comes at a higher price.” In a study on the need for Green features in buildings conducted by Harvard Business Review in the same year, it recommended that building owners of “standard” buildings needed to adopt Green features, otherwise their buildings would face massive obsolescence. In Germany, which is more advanced in its environmental movement, sustainability has become a key factor, where building owners would have difficulty leasing the properties if environmental measures were not taken into consideration. Jamestown Properties, a German commercial real estate investment company, has recently announced that it will invest its entire US$4bil portfolio of buildings in the United States in “green” buildings. Other prominent investment funds that are incorporating green buildings and energy-efficient buildings and other principles of sustainability into their property selections and portfolios are Investa Commercial Property Fund based in Australia and Rose Smart Growth Investment Fund 1 in New York. In terms of rental rate, a study led by Professor John M. Quigley of University of California in Berkeley concluded that rents for green offices were about 2% higher than rents for comparable buildings within the same area. However, in terms of appreciation, the result has yet to be seen because most of these green-rated buildings have been around only for the last few years and only a few, if any, have been re-sold. And the profile of prospective buyers might also influence the value placed on the properties. For example, a buyer or tenant who places high value on green efforts as part of their Corporate Social Responsibility might be willing to pay higher prices or rental. In the case of Jamestown Properties, some of the properties will be held between seven and 10 years to benefit from reduced operating costs. Back home, the asking rental rate at Menara Worldwide, a newly completed GBI-certified office building at Jalan Bukit Bintang is RM6 psf, which is comparable to the average rental rate of standard prime buildings in the city centre. Rental rates of existing prime office buildings within this area range from RM5.80 psf to RM7 psf. On the other hand, the asking rental rate of another GBI-certified office building, G Tower, which was completed in 2009 and also a MSC-status building, is RM6.80 psf, about 13% higher than the average rate of RM6 psf. Rental rates of existing prime office buildings within this area range from RM5.50 psf to RM9 psf. In 2009, Shell People signed a 15-year lease at rental rate of RM8.50 psf for office space at 348 Sentral, which is expected to be completed in 2012 consisting of 33-storey office tower and 21-storey serviced residence to be certified by LEED Gold standards. Current rental rates of existing prime office buildings within this area range from RM6 psf to RM7 psf. It can be concluded that at present, the difference in rental rates between green and non-green buildings is not so much due to the green features, but more of supply and demand factors within the specific location. With proper method of valuation being used to take into account green features, I believe there would be more recognition of the actual benefits of green buildings in the future. Cool sight: The LaCosta sandy beach pool. Sunway City Berhad (SunCity) continues to strengthen its presence as a leading property developer in Malaysia with the much-anticipated LaCosta at Sunway South Quay which is located within the Sunway Integrated Resort City (SIRC). LaCosta has a sandy beach pool that will be the perfect corner for families to gather and enjoy a splash together, as well as an Olympic-length pool. Residents will be thrilled by the fact that they do not have to travel miles to enjoy a sandy beach pool as all they have to do is to take the elevator. SunCity leveraged on its expertise in managing the Sunway Lagoon theme park which has the world’s largest man-made surf beach when developing the sandy beach pool for LaCosta. In view of its unique sandy beach pool concept, the launch of LaCosta was recently held at the Surf Beach @ Sunway Lagoon where the public was invited for a fabulous beach party. The response was overwhelming and it was indeed a unique way of launching a property as SunCity offered guests a first-hand beach experience which will be replicated in LaCosta in the future. Guests were entertained by lively dance performances, magicians, clowns and a delicious barbeque dinner. They were also presented with the opportunity to build sand castles and view an exciting volcano show. Standing tall on a land area spanning 5.39 acres, the four-tower condominium is nestled in the opulent Sunway South Quay. The development will have 377 units with a built-up ranging from 1,302 sq. ft to 3,226 sq. ft. The gross development value (GDV) is approximately RM400 million. The selling price ranges from RM880,000 onwards with attractive financing packages that includes developer interest bearing scheme during construction. Currently, there is a discount of 10% for a limited period of time. 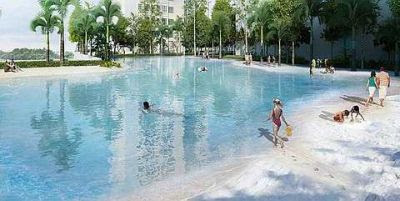 “LaCosta is yet another unique property in Sunway South Quay as it allows residents to enjoy a metropolis lifestyle next to a 28acre lake. To date, BayRocks Garden Waterfront Villas and A’marine condominium in Sunway South Quay have both enjoyed overwhelming responses. “As such, we are confident that LaCosta will be in high demand and its appeal is strengthened further as it is situated within a hub of award-winning and world-class shopping, theme park, hospitality, education and health­care facilities,” said Sunway City Berhad managing director (property development Malaysia) Ho Hon Sang. One of the main unique selling points of LaCosta is that every unit enjoys a lakeside view. Apart from the unique sandy beach pool, residents can also enjoy lushly landscaped podiums, extra-wide balconies projecting a better view for each unit and most importantly, exclusive privacy with only four units per floor. There will also be four uniquely themed sky gardens — Mediterranean, Tropical, Herb and Zen Gardens with facilities that include a games room, ballet studio, yoga zone and others. The development also oversees a majestic view of the entire Kuala Lumpur skyline in the distant horizon and inspiring horizons of the Sunway South Quay lake. Malaysia is likely to see a record year for property transactions and home price appreciation could accelerate, CIMB Investment Bank Bhd said in a report today. 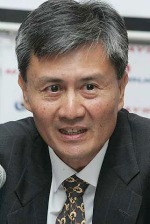 The bank maintained its “overweight” rating on the industry and said Mah Sing Holdings Bhd was its top pick, it said. 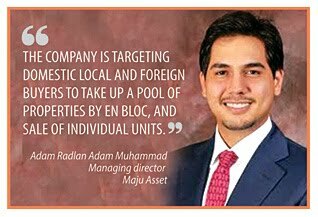 Meanwhile, CIMB Research is bullish on the performance of the properties sector for 2011 after hitting a record transaction of RM107.44 billion last year. It said the potential re-rating catalysts for the sector are newsflow on landbanking, strong sales from most developers and accelerating earning growth. "We remain bullish on the property sector, especially the residential properties, as house prices are likely to trend higher and volumes should scale new highs," it said in a research note today. CIMB Research said the price direction was determined by major cycles and negative external events such as the Asian and global financial crisis. It said the cycle was currently in the property sector's favour. KEPONG: Tesco Stores (Malaysia) Sdn Bhd (Tesco Malaysia) plans to open six new hypermarkets this year, with expected investment reaching at least RM480 million. Its chief executive officer Tjeerd Jegen said it would continue to do this but the number would depend on the government's approvals. "As far as we are concerned, we want to open up many stores, including in Sabah and Sarawak within the next 10 years, to make our stores accessible to customers," Jegen told reporters after launching Tesco's 10th year anniversary here yesterday. Tesco now operates 39 stores and two distribution centres. It is now focusing on expanding its business in the north. So far this year, Tesco had opened three stores with investments worth some RM240 million. In the next six months, it will open another three. "The three new stores will be located in Penang, Old Klang Road in Kuala Lumpur, and Sri Iskandar in Perak. Usually, we will invest between RM80 million and RM200 milllion for a store," he said. Tesco Malaysia is a joint venture between Tesco plc, one of the world's largest international retailers, and Sime Darby Bhd. It started operations in May 2002, with the opening of its first hypermarket in Puchong, Selangor. It currently employs some 15,000 people. Apart from new stores, Tesco Malaysia will also help upgrade 152 small retail shops under a government plan called Tukar. Tukar, one of the Entry Point Projects under the Economic Transformation Programme, aims to modernise these shops to increase their competitiveness. To date, three major retail chains, namely Mydin, Carrefour and Tesco have signed up. Tesco Malaysia has adopted two retail outlets, one in Shah Alam and the other one in Bukit Puchong under the project. "We have contributed some RM80,000 in terms of shelving and equipment to a shop in Shah Alam and another RM60,000 to the shopowner in Bukit Puchong. "They have since managed to increase their sales. For instance, the shopowner in Shah Alam managed to double her sales, while the other shop in Puchong managed to increase its workforce," he said. SDB Properties Sdn Bhd, a subsidiary of Selangor Dredging Bhd (SDB), has acquired a piece of land measuring 36,339 square metres from Webcon Sdn Bhd for RM31 million. The property, located in the centre of the Cheras South communities and surrounded by various public amenities, was easily accessible from various highways such as the Cheras-Kajang Expressway, SILK Highway and Sungai Besi Expressway as well as secondary roads, SDB said in a statement today. 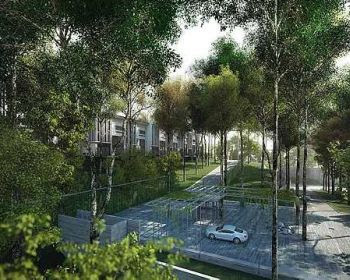 It said SDB would develop residential units on the property with an estimated gross development value of RM300 million. The residential property sub-sector continued to spearhead the Klang Valley's market last year, making up 77.7% of the total volume of transactions in Kuala Lumpur and 76.8% of Selangor's property market volume. 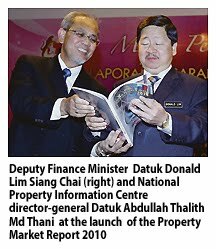 According to the National Property Information Centre's (Napic) Property Market Report 2010 released on Wednesday, there were 376,583 property transactions worth RM107.44bil recorded nationwide last year. Of this, Kuala Lumpur recorded 27,370 property transactions worth RM20.03bil, an increase of 8.1% and 45.3% over the transacted volume and value in the capital city from 2009. Except for a 8.6% contraction in the development land sub-sector, transaction of the other property sub-sectors generally improved. Commercial property recorded a 22.7% growth, industrial property grew by 9.2% and residential by 5.2%. In Kuala Lumpur, condominiums and apartments made up the largest portion of residential transactions with a 51% share of the total volume. Houses within the price range of RM250,000 to RM500,000, RM500,000 to RM1mil, and above RM1mil registered double digit growth of 15.4%, 37.4% and 56.6% respectively. Prices of residential property continued to strengthen and strong demand for properties in established upmarket neighbourhoods drove up prices of double-storey terrace houses in Taman Tun Dr. Ismail, Bukit Bandaraya, Bangsar Baru and Desa Sri Hartamas by 4.7% to 14.1%. Prices in these housing schemes breached the RM1mil mark while similar units in Damansara Heights and Taman Sri Hartamas stabilised at RM725,000 to RM800,000. Condominium units in Mont'Kiara were still sought after as shown by a 3.1% increase in sales recorded and 11.1% increase in prices to RM355,000 for a Mont'Kiara Sophia unit to as high as RM2.73mil for a 10 Mont'Kiara residence. Exceptions to this were units in Mont'Kiara Palma, Mont'Kiara Aman and Mont'Kiara Meridin which decreased by 2.9%, 2.7% and 3% respectively. Rentals of residential property were generally stable with upward movements notably in the high-rise segment. In the commercial sub-sector, shops which accounted for 1,130 units dominated with a 20.5% share. A substantial number of transactions of commercial property, mainly of purpose-built office buildings, worth a total of RM1.45bil were recorded last year. The retail sub-sector remained steady with an overall occupancy of 84.2%. It registered one new entrant (21,697 sq m), one new start (77,484 sq m) and one new planned supply for 13,006 sq m during the year. Kuala Lumpur's office sub-sector recorded an occupancy rate of 81.2%, a slight fall from 83.3% in 2009. The leisure sub-sector saw three new hotel openings - Sentral Hotel, G Tower Hotel and YY 38 Hotel - offering a total of 394 rooms. The overall occupancy rate for three- to five-star hotels was at 69.2% compared with 65.9% in 2009. In Selangor, a total of 90,414 property transactions worth RM36.6bil were recorded, an increase of 10.4% in volume and 30.6% in value from 2009. Several major deals worth RM429.18mil were concluded involving three shopping complexes, nine purpose-built office buildings, a private hospital and three estate land. Prices of residential property in Selangor also saw major increases with single-storey terrace houses in Petaling Jaya transacted at RM190,000 to RM343,000. Houses in Subang Jaya and Bandar Sri Damansara saw increases of 8.9% and 5.8% respectively, to between RM250,000 and RM300,000. The self-contained neighbourhoods of Bandar Utama and Mutiara Damansara saw prices of their double-storey terrace houses appreciated by 4.6% to 9.8% to between RM618,000 and RM760,000 in Bandar Utama, and by 2.1% to RM1.24mil to RM1.26mil for houses with larger land area of 193 sq m in Mutiara Damansara. Similar houses in other parts of Petaling Jaya such as SS2, 20, 21, 22, 23, 24 and 25 recorded increases of 5.1% to 11.9% to between RM400,000 and RM680,000. The primary residential market recorded launches of 10,002 units, higher than 8,430 units launched in 2009. Last year, Selangor saw a drop in the number of overhang residential units to 3,180 units worth RM691.28mil compared with 3,770 units worth RM608.3mil in 2009. Condominiums/apartments formed the bulk with 1,468 overhang units. The performance of the office sub-sector moderated with the average occupancy rate of purposebuilt office buildings dropping to 76.9% from 78% previously. There were two new office buildings - Philomath Resource Centre Building with 6,359 sq m in Gombak and Empire Tower with 18,936 sq m in Subang Jaya. 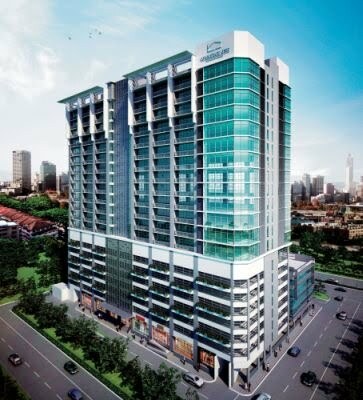 The opening of Empire Suite in Subang Jaya added 217 hotel rooms to the hospitality market. The overall occupancy rate for three to five-star hotels in the state improved to 60.3% after staying below the 60% mark for the past two years. The most significant feature in Penang's property market last year was the marked increase in prices in some established housing areas on the island, with single storey and double-storey terraced houses breaching the RM580,000 and RM800,000 respectively. Double-digit price and rental hikes were noted throughout the state in established housing areas, the Valuation and Property Services Department says in its Property Market Report 2010. 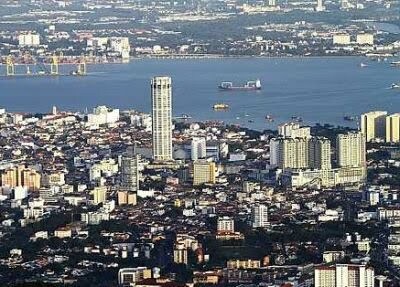 The situation in Penang is a general reflection of the mood of the overall market in the country, with Putrajaya recording a two-fold increase in the volume from 170 units in 2009 to 337 units last year. In ringgit terms, Putrajaya sales saw a three-fold increase from RM88mil to RM375mil. It should be noted that Putrajaya is beginning from a low base, being a relatively new area. Klang Valley prices and volume of transactions were also robust last year. The only state which experienced a soft market was Labuan, while Malacca saw very marginal growth. Going back to the situation in Penang, as with other states, the residential sub-sector dominated market activity, capturing 70.2% of the market share, followed by commercial sub-sector with a distant 11.9% share of the market. While agricultural and industrial sub-sectors enjoyed growth, it was the residential sector that saw major movements last year. 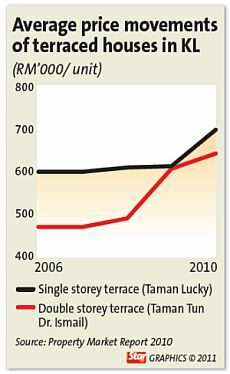 On the island, single storey terraced houses in Green Garden recorded an increase of 16.5%, ranging from RM455,000 to RM550,000. Similar houses in Jalan Van Praagh were transacted at a higher range of RM530,000 to RM580,000. Bandar Bayan Baru saw both its single and double-storey terraces charting gains of 16.1% and 20.2% to record RM275,000 to RM340,000 and RM403,500 to RM490,000 respectively. According to the report, its proximity to Sunshine Square shopping complex, Suntech@Penang Cybercity office blocks and being adjacent to Penang International Sports Arena gave it the extra edge. Other locations which had notable increases were in Taman Sri Nibong, Taman Sri Mewah and Taman Sunway Banyan. Houses in Taman Sunway Banyan went as high as RM750,000. 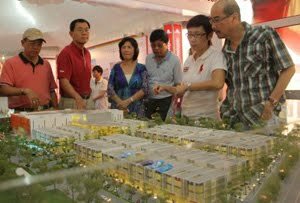 Other popular areas were Island Glades and Island Park, recording sales between RM560,000 and RM800,000 for its residential units. In Seberang Perai on the mainland, prices of landed residential units also recorded positive movements, particularly Taman Bertam Perdana (B), Bandar Putra Bertam. It should be noted that prices in Seberang Perai Utama are also gradually moving up. While landed units recorded a general trend of double-digit growth, high rise residential units are not to be left out. Prices of upscale condominium by the beach increased by 3.6% to as high as 22.2% in Sri Pantai/Gurney Beach Resort Condominium. In the rental market, growth was recorded in Green Garden and Taman Lip Sin, with rental rates seeing an increase of 12.5% and 11.1% respectively. In the high rise segment, rental growth also saw an uptrend. Two-bedroom flats in MaCallum Streets and three-bedroom flats in Mutiara Heights, and George Town city centre recorded 9.4% and 9.1% increases respectively. Prices of shops were stable with isolated increases noted in choice locations. Since the inscription of George Town as a World heritage Site by Unesco in 2008, the number and value of pre-war shops' transactions have increased. Institutional buyers have been actively buying up commercial lands in George Town. Overall, Penang enjoyed a total of 25,986 transactions worth RM9.37bil last year, an increase of 14% in volume and 43.5% in value against 2009 (22,724 transcations worth RM6.53bil). It was one of several top performing states both in terms of value and transactions. SINGAPORE: YTL Corp Bhd sees good growth for the company despite the challenging global economic environment. "It will continue to perform good business," she told Bernama in an interview here recently. YTL Corp Bhd recently announced a 13.3 per cent growth in revenue to RM8.905 billion for the six months ended Dec 31, 2010 compared with RM7.857 billion in the previous corresponding period ended Dec 31, 2009. The group’s utilities comprise power generation and transmission in Malaysia, Singapore, Indonesia and Australia, water and sewerage services in the United Kingdom, merchant multi-utility businesses in Singapore and communications in Malaysia. Yeoh said the company also took to ensuring that all its businesses strived to preserve the environment. The companies have to send the sustainability report every year, she added. When asked on new projects, the Director of International Real Estate of YTL Singapore, Kemmy Tan said the group was looking to develop its projects in Malaysia. "We also bought the 460-hectare Niseko Village in Hokaido last year." YTL Group Managing Director Tan Sri Dr Francis Yeoh Sock Ping had announced YTL's master plan to re-energise the development of Niseko Village in Hokaido. Targeting affluent individuals, Niseko Village will be transformed into an all-season mountain resort offering exclusive hotels, luxury homes, ski-in ski-out estates and exclusive shopping and dining, all with spectacular views of Mount Yotei (Ezo Fuji, the Mount Fuji of northern Japan). Tan said the project is being managed by Singapore office. In time to come, Tan said two projects in Singapore namely Sentosa Cove and the land in Orchard Boulevard will be streamlined into YTL Land. The Japanese assets were acquired for about US$66 million while the Singapore project cost S$575 million, she disclosed. The project in Singapore is in the planning stage and the launch could be probably next year. Two individuals, Robert Ti and Indonesian Kornelis Kurniadi, are trying to block the sale of Putra Place to Sunway Real Estate Investment Trusts (SunREIT). They are taking legal action against OSK Trustees Bhd and SunREIT. Ti and Kurniadi have also named Commerce International Merchant Bankers Bhd and Deputy Registrar. The plaintiffs are seeking an injunction to restrain OSK and SunREIT from completing the sale. On March 31, OSK Trustees, on behalf of SunREIT, was announced the winning bidder for Putra Place at RM513.95 million. SunREIT told Bursa Malaysia that it completed the purchase of the property on April 19 and the title has passed to OSK Trustees and the balance purchase price has also been settled. The matter is expected to be heard next week. Average Malaysian home prices were 8.2 per cent higher from a year earlier in the fourth quarter of 2010, according to a report by the country’s Finance Ministry today. 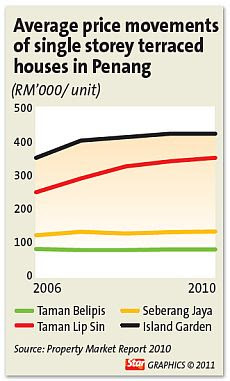 Prices averaged RM199,636 in the three months ended December 2010, compared with RM184,574 during the same period in 2009. The Asia Pacific Property Awards 2011 in association with Bloomberg Television have just been judged and Mah Sing Group has been informed that it is amongst the winning companies. Successful entrants have been invited to attend a high profile gala presentation dinner at the Longemont Hotel Shanghai on May 31. Mah Sing Group will then discover whether the company has won a five-star or highly commended award in the categories of Best Mixed-Use Development for its Southbay City in Penang project, Best Industrial Development for its i-Parc3 at Bukit Jelutong project, Best Retail Development for its Star Avenue at Damansara project and Best Website. The event is part of the long established International Property Awards and its award winners’ logo is recognised as a symbol of excellence throughout the global industry. Attaining one of these coveted awards is indisputable evidence that Mah Sing Group is capable of beating some exceedingly strong contenders within the highly competitive Asia Pacific property arena. Later this year, the highest scoring winners from the Asia Pacific Property Awards will compete against other winning companies from Europe, Africa, the Americas and Arabia to find the ultimate World’s Best in each category. The Asia Pacific region has an enviable record of achievement at international level, having scooped seven World’s Best awards in the finals of both 2009 and 2010. No doubt the property industry will be watching and waiting to see if this record number of international wins can be matched or even beaten in 2011. The judging panel is chaired by Lord Bates of Langbaurgh and consists of more than 60 professionals whose collective knowledge of the property industry is unsurpassed by any other property awards. This year’s judges include UK account manager of Google James Bacon; group chief executive of the National Federation of Property professionals Peter Bolton King; the Royal Institute of Chartered Surveyors (RICS) David Dalby; and the Royal Bank of Scotland (RBS) Mike McNamara. Residential property prices are expected to grow 10 per cent this year given the rebound in transaction volume and higher replacement costs, AmResearch says. The research unit of the AmInvestment Bank group said its previous forecast was a growth of five per cent. It said replacement costs were on the rise due to escalating land cost as well arising prices of building materials from timber, aluminium, cement to steel. The recent aggressive bids for land surrounding mature neighbourhoods would solidify the strong pricing trends as land traditionally accounted for between 25 and 30 per cent of residential prices, it said in a research report today. "The expected reacceleration in residential prices would also be preceded by a sustained expansion in transaction volume, which is already underway now," it said. It said developers had revealed that demand rebounded strongly in the past month as evident from the strong response to recent launches. "We reaffirm our overweight stance on the property sector with SP Setia and IJM Land as our deep convictions buys," the research house said, raising its fair value for SP Setia from RM7.38 to RM8.10 and IJM Land from RM3.88 to RM4.00 per share.